The year 2012 has been fantastic for all of us at Sterling Holidays, as we have achieved many milestones this year and hope to touch many more in the year to come. As we invite the New Year with fervour, and bid adieu to the year that was, let us review some of the major happenings at Sterling Holidays. With the objective of serving our guests with best-in-class standards in our resorts, we have undertaken extensive renovation of many of our properties. 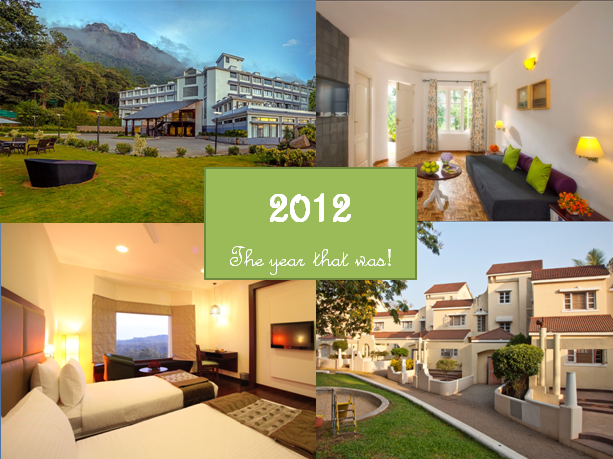 In early 2012, with the opening of two of our newly renovated resorts: Kodai – By The Lake (previously Lake View, Kodaikanal) and Munnar – Terrace Greens (previously Green Vistas, Munnar), Sterling opened up its new avatar for its guests to experience. Our renovation further progressed with Ooty – Fern Hill being renovated and re-opened in November. Fern Hill in Ooty has been re-modelled in such a way that it reflects the natural charm of Ooty. The lobby, reception area and surroundings have designed with artistic fern renditions. The interiors have been extensively revamped to spell luxury. Fern Hill’s restaurant has been upgraded to give an unforgettable dining experience. Be prepared for an extravagant experience when you visit Ooty the next time. 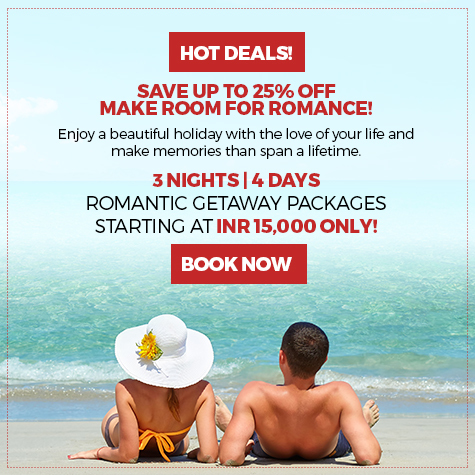 Our resort in Munnar has been renovated in a unique seamless blend of several elements. The property from outside has shades of grey, merging with the vast mountainous terrain that forms the best backdrop. The newly conceived large entrance porch is filled with sunlight streaming in. The interiors take off in several languages together and carry forward the experiment of ‘blending’ aesthetics. Kodaikanal, the place itself is synonymous with the splendour of nature and beauty. Our newly renovated resort, Kodai-By The Lake, merges with this serene atmosphere. The resort has been styled on the lines of Colonial English architecture. The room interiors have been refurbished and the entire resort has a new look and feel. 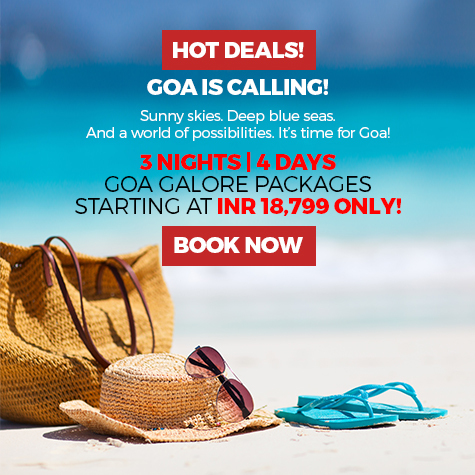 Along with the renovations, we expanded phenomenally by launching new resorts in Gangtok – Delisso Abode, Dharamshala – The Sanctuary, Corbett – The Riverview Retreat and one more property in Goa called Club Estadia with many more to come. Here our Facebook fans could write about their most cherished “Oh My God” Holiday memories from their vacations. A number of people participated enthusiastically and we received an outstanding number of entries. 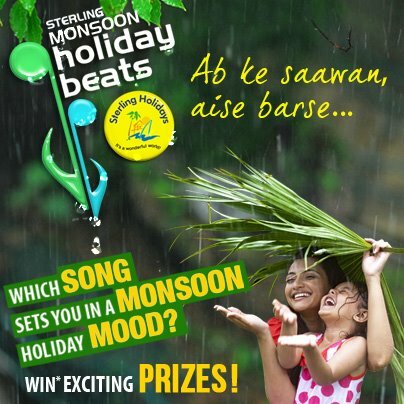 “Which song sets you in a monsoon holiday mood?” was what we asked our fans, and their response was phenomenal. With many such contests, many such events, and many more milestones to touch, we hope the year ahead is a fruitful one for you as well as for us. Happy holidays! Happy 2013!